Yvonne and I recently made desserts for a friend's wedding. She requested an assortment of over 500 mini desserts. It was a daunting task, but we were up for the challenge! One of her requests was Mini Vanilla Cupcakes with Passionfruit Buttercream. Not having worked with Passionfruit in baking that much, I knew I wanted the flavor of the Passionfruit to shine, so I wanted to find Passionfruit in it's most concentrated form. No watered down, diluted juice or fake extracts. After searching high and low in numerous Asian markets, I just happened to find this frozen Passionfruit Puree in a local Mexican market. Who knew!? This curd is so good (and so easy to make), I knew I had to share the recipe. Please, please, please, find some Passionfruit Puree and make this curd. You will not be disappointed. 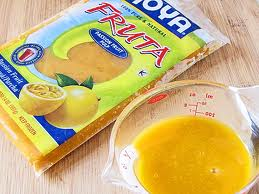 In a small saucepan over medium-low heat, combine the sugar, egg yolks and passionfruit puree. Whisk to combine and continue whisking until the mixture turns bubbly and thickens enough to coat the back of a spoon (this takes a few minutes). Remove from the heat and whisk in the butter and dash of salt until thoroughly combined. Strain through a wire mesh strainer (into a glass bowl or jar) to remove any small clumps of egg. Tip: You can skip this step if you don't have a strainer, but straining will give you a smoother curd. Store tightly covered in the fridge for up to 1 week. Recently, I used it as a filling for a Vanilla Cake with Cream Cheese Frosting garnished with toasted coconut. It was delicious! Just use your favorite Vanilla Cake and Cream Cheese Frosting Recipe. Layer with the Passionfruit Curd and garnish with toasted coconut. Here's the link to the recipe I used. It was easy to make and delicious! Just follow the cake and frosting recipe & fill with the Passionfruit Curd instead of the Lemon Filling. Time Saving Tip: Make the curd the day before you make the cake. Fall is in the air and that means apple season! 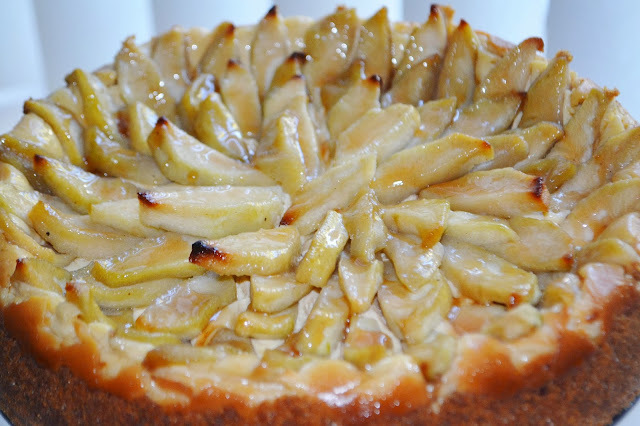 While apples are not on the top of my list of favorite fruits, I love apples baked into desserts; Apple Pie, Apple Streudel, Apple cake, Apple Crisp! The smell of apples and cinnamon baking is heavenly. 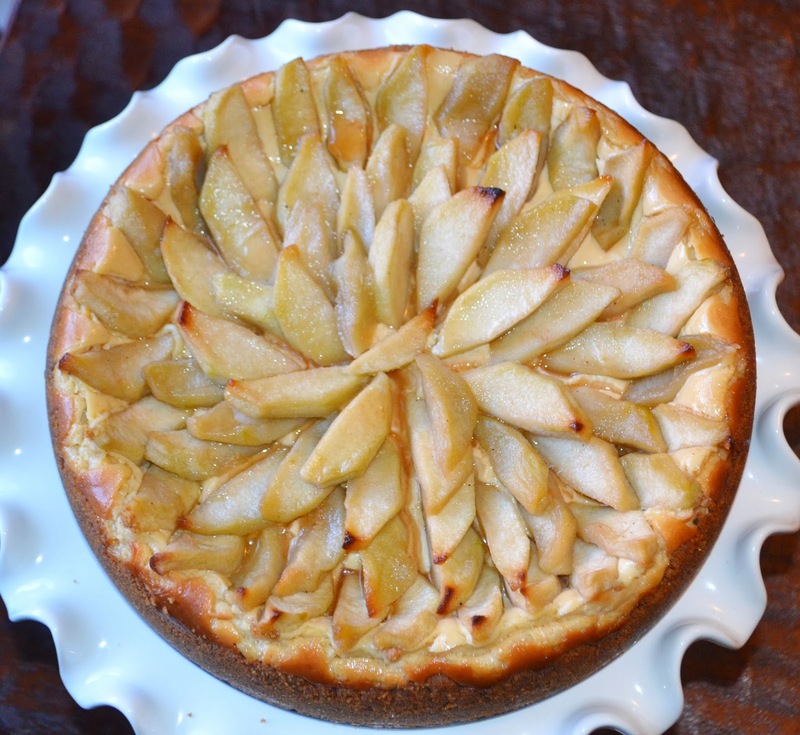 This Apple Blossom Cheesecake with Cinnamon Graham Cracker Pecan Crust really captures the essence of these delicious Fall flavors. 1. Your cream cheese and eggs absolutely must be at room temperature. This means taking them out of the fridge several hours before you use them. Cold cream cheese is a no-no and will make it difficult to blend resulting in a lumpy cheesecake batter. 2. Don't overmix. 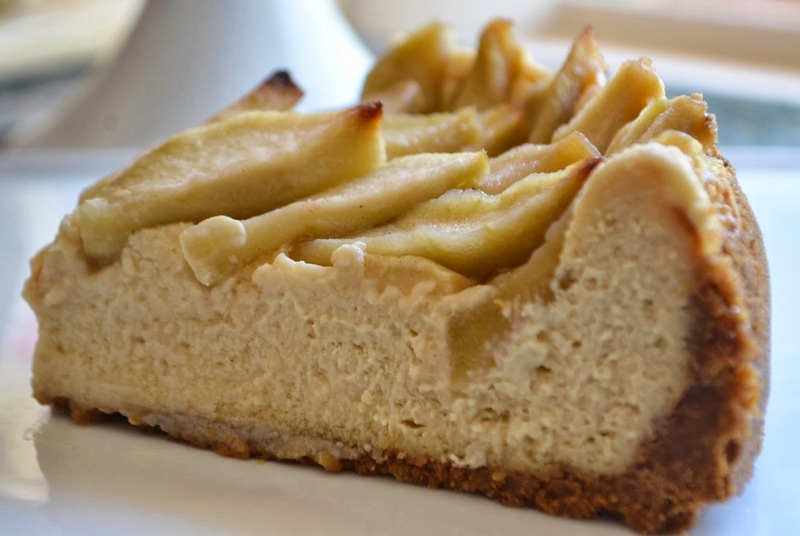 This incorporates too much air into the batter which may result in a cracked cheesecake. 3. Bake low and slow. Your oven temperature should be no higher than 300-325F max. Trust me on this one. A fussy water bath is not needed when you bake at a low temperature. 4. Don't peek! Opening and closing the oven too many times affects the oven temperature which can cause cracking. 5. Cool slowly. Again, this prevents cracking. The cool down process can take several hours. Be patient, it's worth it. 7. 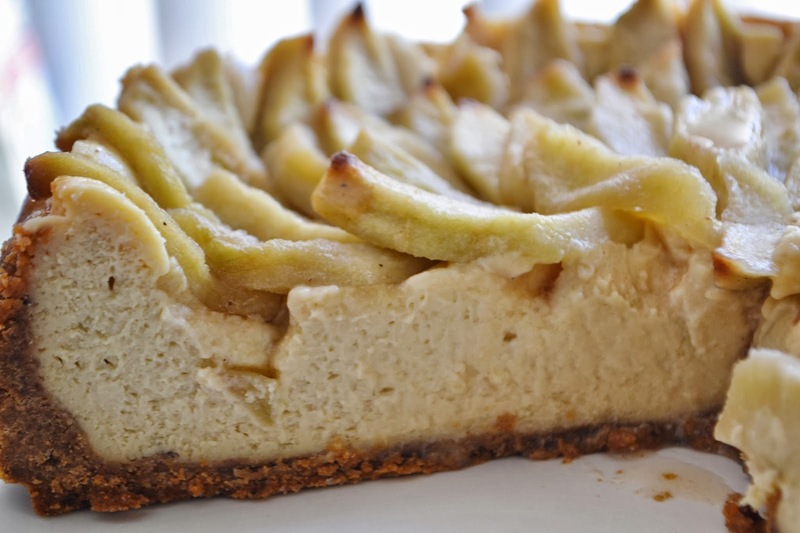 Plan ahead - cheesecakes are best when allowed to refrigerate overnight or 10 hours minimum. So now that you're a cheesecake "expert", I hope you'll give this recipe for Apple Blossom Cheesecake with Cinnamon Graham Cracker Pecan Crust a try this Fall while apples are in season. Melt the butter in a large sauce pan or skillet. Add the apples, brown sugar and cinnamon. Cook over medium-low heat until apples are softened (approx. 5 minutes). Transfer to a large bowl and cool completely. Add the graham crackers and pecans to the bowl of a food processor and pulse until the pecans are finely chopped. Place the crumbs into a medium size bowl and add the cinnamon and melted butter. Toss with a fork until well combined and crumbs are moistened. Press into the bottom and up the sides of your 8-9" spring form pan. Bake for 5-6 minutes. Remove from oven. Place the cream cheese in a large bowl and beat with your electric hand mixer at low speed just until creamy. If your cream cheese is properly softened, this should take less than 15 seconds. Add the brown sugar and vanilla extract at beat at low speed until combined. Tip: Make sure your brown sugar doesn't have any lumps before adding. Beat in the eggs one at a time at low speed mixing just until combined and scraping down the sides & bottom of the bowl with a rubber spatula after each addition. Pour the filling into the springform pan. Place on a baking sheet. Arrange the apple slices in a circular pattern (slices should be facing in the same direction) starting at the outer edges and finishing in the center. Bake at 300 for approx. 60-70 minutes. or until sides are set but center is just slightly jiggly. Turn oven off and prop oven door open slightly with a wooden spoon. Allow cheesecake to cool slowly in oven for 1 hour. Remove from oven and cool on counter until room temperature (approx. 1 more hour). Cover and refrigerate overnight or at least 10 hours. Slice and serve with a dollop of fresh cinnamon whipped cream! When your apple tree give you apples, what do you do.. make strudel of course. Well... maybe not, but that is what i made. I have always loved strudel but actual thought it would be hard to make. So for my first attempt, i learned that its pretty easy, just a bit time consuming. The layers take a bit of time to make since you need butter each layer. But once that is done, the rest is quite easy. And two slices later, trust me, it is definitely worth the time. The buttery layers filled with the sweet favors of cinnamon apples mixed with the tartness of the cranberries were so Delicious! **Special Note: Phyllo dough drys up very quickly. Do not unfold until you are ready to start working with it. 5. Remove Phyllo Dough from Refrigerator. Its usually frozen to make sure you have let it completely defrost as directed on box. 1. 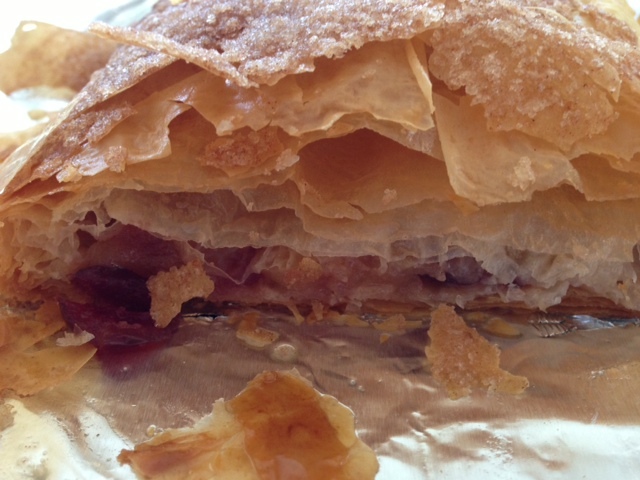 Take one sheet of the Phyllo dough, lay flat, brush the top layer with butter until the sheet is covered. Lay next sheet of Phyllo dough on top of the butter one, continue till all the 6 to 7 layers are done. 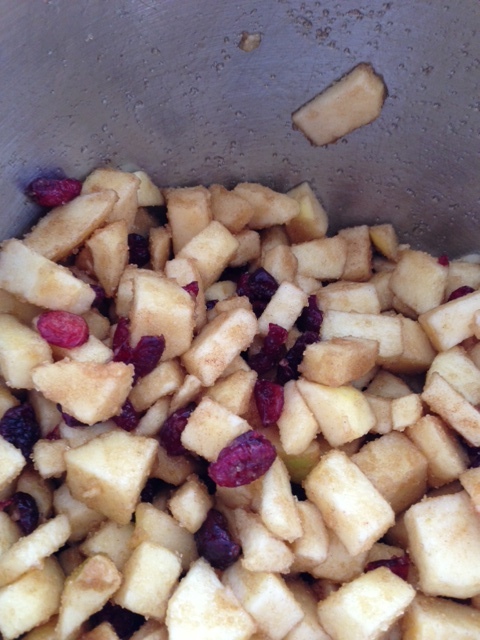 2.Add brown sugar, cranberries, 1/2 teaspoon cinnamon to chopped apples. toss together till all the apples are coated. 3. Add filling to the left side of the rectangle. Leave about 1 inch to the top and bottom. 4. Fold right side over on the left side, covering the filling. 5. Fold over the edges abour 1 inch up. 6. Brush butter on the top, sprinkle sugar cinnamon mixture on top. 7. Carefully place on Foiled baking sheet.